The upgrade from ITIL v3 to ITIL 4 started in 2018 when AXELOS engaged a diverse range of people in the development of ITIL 4 assembling a Global ITIL Development Group, which is made up of over 2,000 professionals. The outcome of this collaboration is a smooth transition towards a flexible and agile guidance. Continuing your ITIL certification scheme gives you the chance to gain the 17 credits necessary to the trasition from the ITIL v3 to the ITIL 4 certification scheme. For the ITIL v3 formation and certification QRP organizes in-house courses available in French, English, German, Italian and Dutch. Interested in the ITIL v3 Foundation certification? Contact us by filling in the form at the bottom of the page! Do you need further information about ITIL 4 formation and certification? 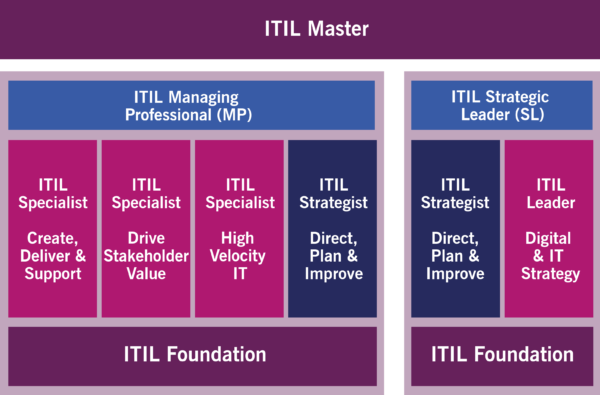 Do you have any doubts about ITIL v3?